Norman L. Stauffer (Norm) passed away in Boulder, Colorado on Tuesday, December 19, 2017, surrounded by his loving family during his final days. He was preceded in death by his wife, Carolyn Stauffer. Norm was born February 13, 1932, in Utica, New York. He grew up in Hamilton, New York where his early interests included paleontology and astronomy. He moved to Oregon in 1947 where he met his wife to be, Carolyn, and received a B.S. 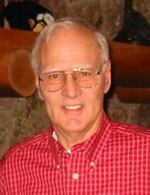 Degree in Physics and Mathematics from Lewis and Clark College in 1954, and a M.S. Degree in Physics from the University of Oregon in 1956. He began his career at Honeywell in Denver, Colorado in 1957 where his early work included development of the patents used in the first automatic focus slide projector. In 1968 he became Manager of Research for Honeywell in Denver and began work on camera autofocus. Soon thereafter he developed the patents which, when implemented, resulted in the first production autofocus camera, the Konica C35AF. This camera is in the permanent collection at the Smithsonian Institute. He received numerous honors and awards including the Colorado Governor’s Award of Honor for Science and Technology in 1987, and the Institute of Electrical and Electronic Engineers Inc. Consumer Electronics Award in 1990. His work at Honeywell and in his home workshop resulted in over 100 patents. Norm retired from Honeywell in 1992 as a Corporate Fellow and spent his retirement years in Grand Lake, Colorado with his wife Carolyn pursuing his personal interests including nature and astronomical photography, fly fishing, and cross-country skiing. Norm is survived by his four grown children Peter, Eric, Thomas and Susan, as well as six grandchildren, John, Julie, Jay, Ty, Nathan and Nina. A gathering in his honor is planned for the Spring of 2018. Memorial contributions are welcome and may be sent to the Nature Conservancy or the Smithsonian Institute. To send flowers to the family of Norman Leeland Stauffer, please visit our Heartfelt Sympathies Store.